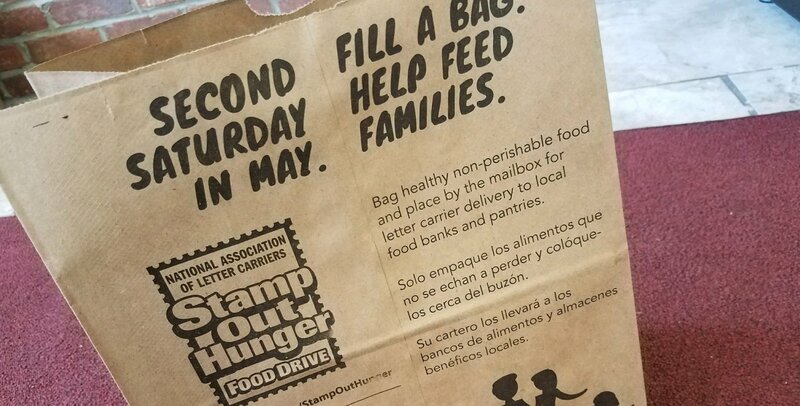 Tomorrow, we look to #StampOutHunger on Long Island and nationwide as we support the National Association of Letter Carriers' Food Drive. This annual event done in partnership with Island Harvest is the largest food drive in the nation. It is a big day for our unions, who play a significant role in bringing this all together. Year after year our members do their part to ensure our neighbors don't go hungry. Now we are asking you to do your part and leave a bag by your mailbox. All donations will stay local, helping out food banks like Island Harvest. If you would like to volunteer, please contact Island Harvest to find out when and where they need help. I would also like to wish a Happy Mother's Day to all.